A while back classical guitarist Giacomo Fiore asked for help. He did it with a Kickstarter campaign that raised several thousand dollars and helped him cover the licensing costs for the music he recorded. The Texas Guitar Quartet is doing the same. They’ve launched a Kickstarter campaign with the goal of raising funds for their debut album. 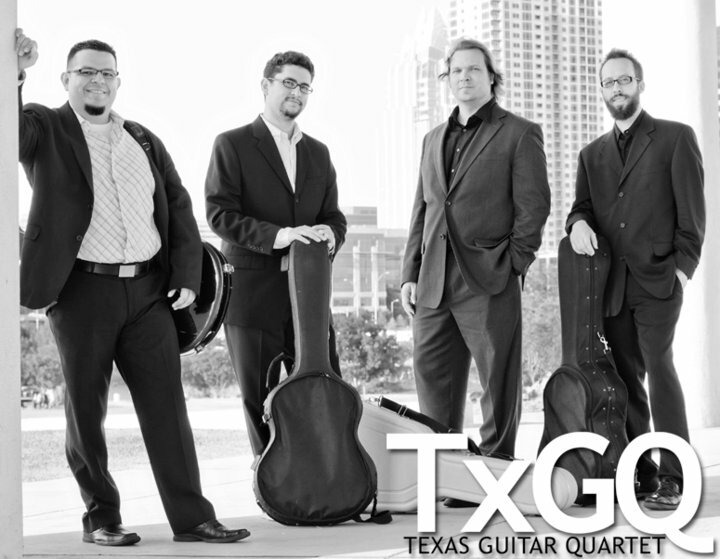 The TGQ is made of Alejandro Montiel, Isaac Bustos, Joe Williams, and Jonathan Dotson. All of them are great players, and active contributors to the greater guitar community. So click here help the TGQ out if you can! So I’m just supposed to give my money to a group? Well, not exactly. Kickstarter is a lot like doing pre-sales. For instance, if you give the TGQ 10 dollars, you’ll receive a copy of their album if it gets recorded. If you donate $3,000, the quartet will travel anywhere in the state of Texas and play a concert for you. Moreover, you only “donate” the money if the campaign meets its goal. If the TGQ doesn’t raise $4,000, none of the pledged money will get sent to them and you won’t be charged. Kickstarter is an intermediary that takes care of the technical details (secure payments though amazon, tracking gift givers, etc) allowing independing artists to connect with fans to “crowdfund” their endeavors. Of course, you still get something out of it! When I “donated” to Giacomo’s campaign, I got a copy of his excellent CD and a recipe for some great Italian food. I suspect you’ll be seeing more kickstarter campaigns for guitarists in the future. At least I hope so: more great musicians can get exposure without the marketing budget of Milos Karadaglic.